The planetary snap shot at the time of your birth is decoded by a professional astrologer. Page one will be a beautifully designed digital artwork showing the planets in their orbit around the Sun at the time of your birth. 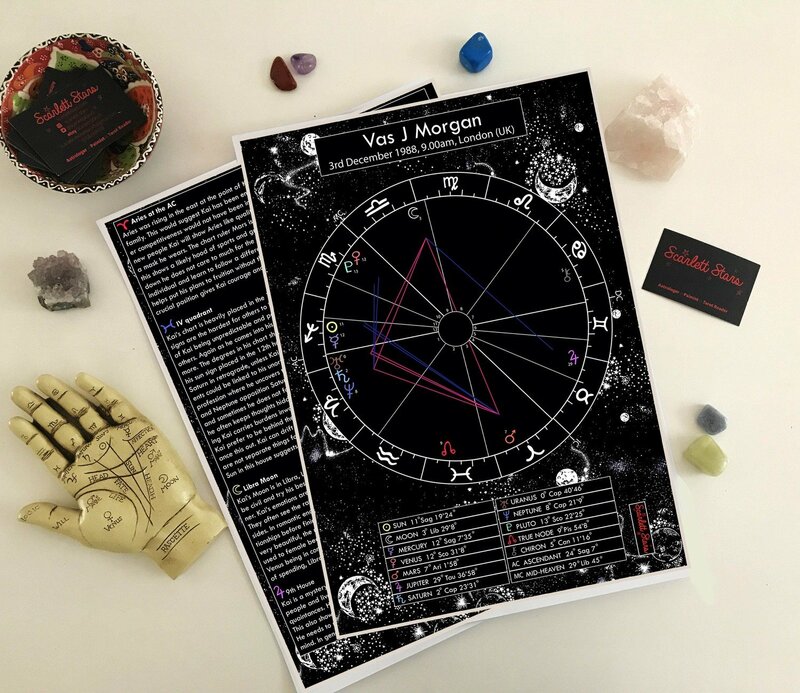 The second page will provide detailed information on your personality, love life, what holds you back, what makes you flourish, what is the best relationship structure for you, what type of partner is your soul best suited to, career, home, finances, obstacles, opportunities. You will receive by post an A3 print out of the artwork page and the written detail page.